World currency options, often called foreign currency options, or forex options, function in exactly the same way as stock or futures options, except the underlying asset is the current value of one world currency in terms of another. Currencies and their associated options form the largest and most liquid financial market in the world. Trouble is, most of the trading is not done through exchanges where all can participate. It is done "over the counter" i.e. directly through participating banks. However, a small portion of world currency options are traded on major exchanges such as the Philadelphia Stock Exchange in the USA or the International Securities Exchange in Germany. A "back-door" way of trading world currency options is to do it via the futures markets. Futures contracts are better known for their connection with the commodities markets but you can also trade currency futures and therefore currency futures options using brokers who have access to the Chicago Mercantile Exchange. 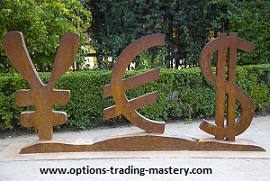 Another way of trading world currency options is by understanding how binary options work. These are slightly different to regular (vanilla) options, primarily because there are only two outcomes (hence the name binary) - you either get paid or you don't. They are usually short term trades but when they pay, the return on risk is quite spectacular. 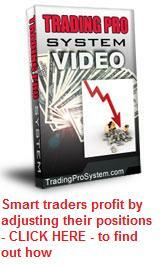 The point is, the binary options market includes foreign currency pairs. Imagine you're a US manufacturing firm who exports to the UK but you're unsure when you'll receive payment. So you want to use options on the GBP/USD pair to hedge against fluctuating currency prices. One contract could give you the right to sell one million pounds in exchange for US$1,500,000, up to a given expiration date. This would mean the strike price is 1.50 US Dollars per British pound. This contract would form a dual purpose - a call on dollars and a put on pounds sterling. Since the determining currency is the British Pound, it would normally be called a GBPUSD put option. When expiration date arrives, let's say the dollar has become stronger against the pound so that one pound sterling now only buys $1.40 US Dollars. The owner of the currency option contract has the right to sell one million pounds for $1.50 per pound and immediately buy it back at the spot market rate of $1.40 making a profit of $100,000 US Dollars in the process. So there's the theory done. If your interest is in trading foreign currency options as a private trader, then please return to the Forex Options Trading contents page and peruse the various page headings.